After losing momentum with the HyperX T-series, Kingston have switched their focus to the relatively fresh Beast lineup. Eager to see if the new stuff is any good, in the coming articles we are going to submerge into this zoo of wild animals, kicking off tonight with a specie rated 1866C10. As usual, Kingston do not mention full specifications anywhere on the packaging or the modules so going online is the only way to gather full information. 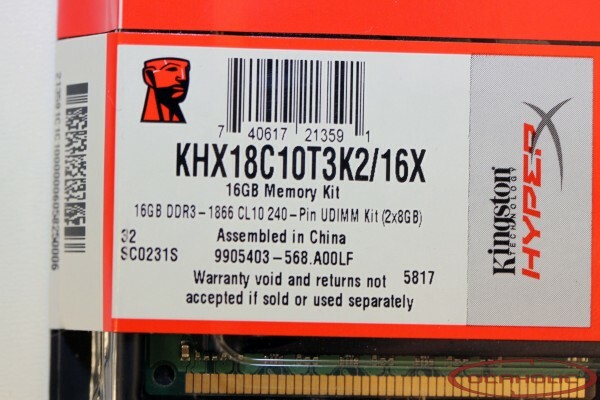 At first glance, the numbers suggest that we are staring at a harmless herbivore, but with Kingston’s random binning history, under the skin of DDR3-1866 CL10 there might be a lot more potential than initially meets the eye.